You are here: Home > MCSD News & Alerts > MCSD News & Alerts > CMS News > Clover Kids Leaders Needed! Name: Clover Kids Leaders Needed! Description: Clover Kids Leaders Needed! 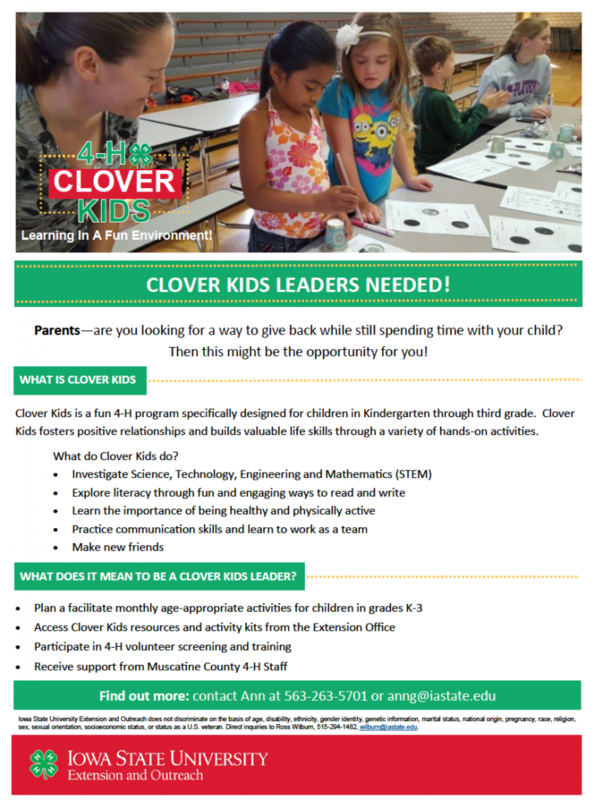 Clover Kids is a fun 4-H program specifically designed for children in Kindergarten through third grade. Clover Kids fosters positive relationships and builds valuable life skills through a variety of hands-on activities.